The tweet is aimed at Chairman Kim letting him know publicly that there is a the might of the US economy there to support him economically and personally if he chooses to bring his benighted country out of the dark. Trump is doing publicly what his diplomats have been doing privately. Be nice if the entire bloody world could get behind this, who knows someone as unorthodox as Trump could secure an important win for world peace. Fat chance the US economy is going to ‘support NK’ , Trump is trying to wind back the trade advantages of South Korea and even more so China. Kim’s travelled to China 3 times to meet Xi for one on ones now. I think I read somewhere that they have another meeting scheduled for March or April, this time in Pyongyang. Wonder what those meetings are about. The impression an Aljaz commententator had during the last surprise one was that when Xi summons Kim; he goes. His thoughts behind the tweet are to do with legal problems at home. What legal problems would bother him, he has had non stop investigations etc for 2 years and it doesnt seem to have slowed him or distracted him at all. He is a property developer with a lively personal life I would imagine he is so used to dealing with them they just wouldnt bother him. Not bother him ? hes raged for ages about ‘No collusion’ while the evidence points to there was. 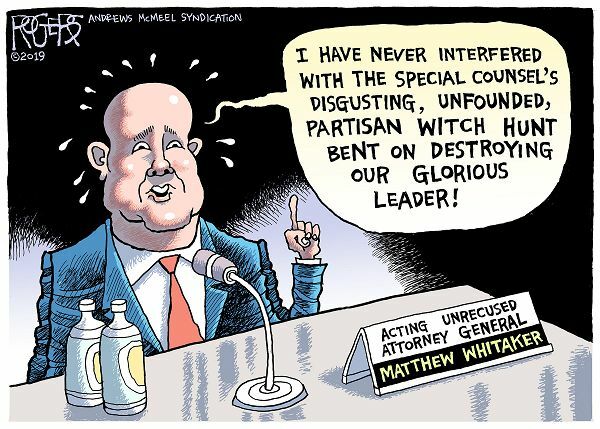 Hes raged about Recusal when his AG did so ( because he too had Russian meetings before the election which he didnt disclose). hes raged about his fixer/attorney Cohen fliiping on himand becoming a federal informant …Raged. Trump is a very brash and arrogant man. His tweet expresses his usual way of trying to flatter whom he wishes to conquer. I understand that Trump gave his heart to Jesus. Did you know he’s a baby Christian? It’s good for the world that his deputy is a mature Christian. Well, Mother, he’s a big baby, anyway.